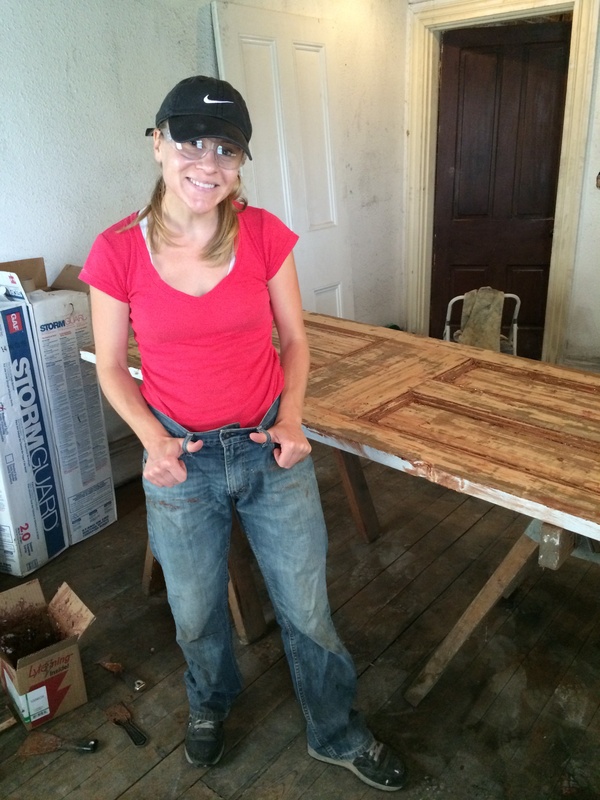 Apparently, I do NOT know to dress for DIY home renovations. Because it’s warm and humid out, I work on the house in shorts and a short sleeve t-shirt, sometimes a tank top. That is not a smart choice of clothing when you are working with paint stripper that could burn the hide off a cow. I learned this the hard way when a teeny, tiny speck of the paint stripper got on my leg and I screamed like I was being run over by a car. Mark said I was overreacting. I don’t think I was and then proceeded to accidentally burn myself several more times. 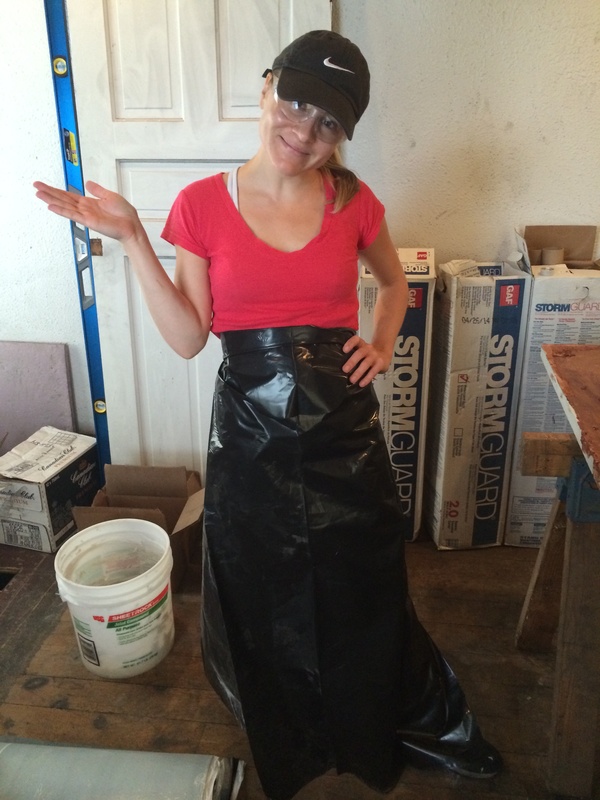 At that point, I had enough and made myself a long skirt out of a garbage bag. Even that trashy looking skirt (HA!) 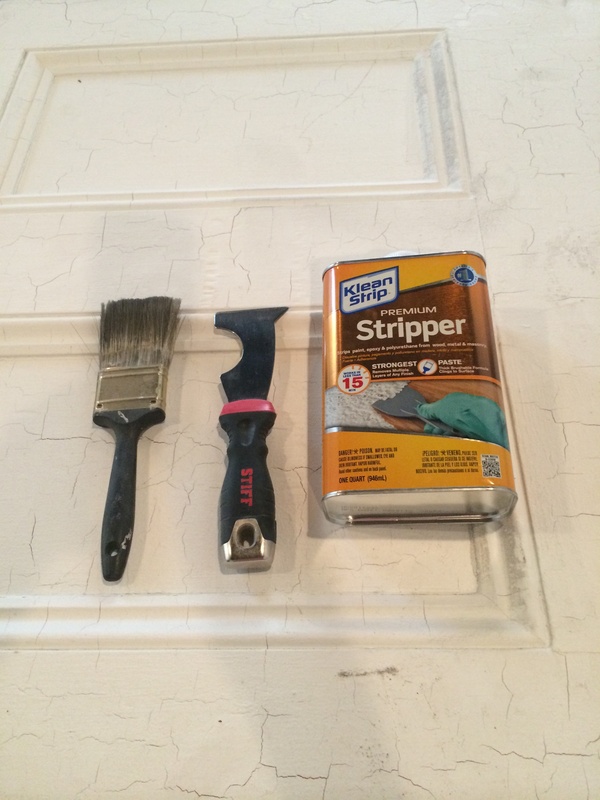 wasn’t enough…the paint stripper somehow got through that and burned my ankle. 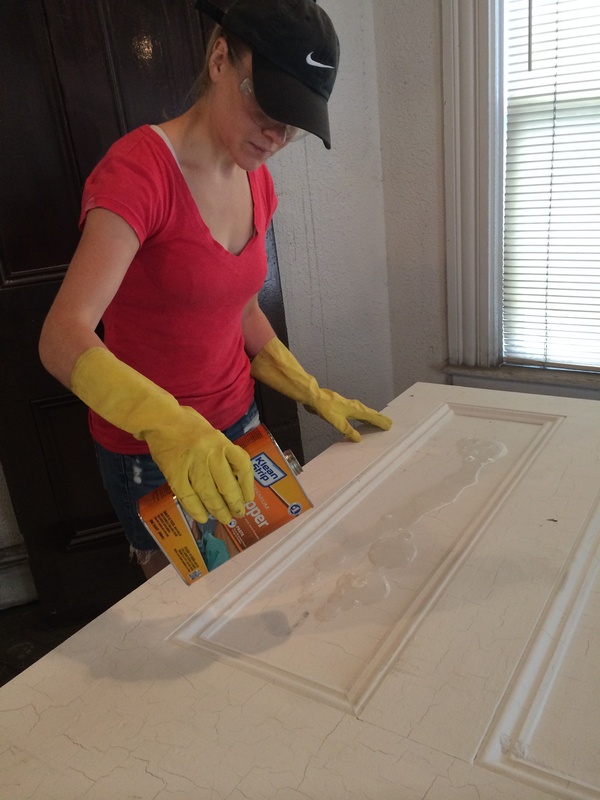 Courtney I love reading your blog and seeing your home being renovated picture by picture. Why no mask though while you were using that stripper? Be careful!! Love the picture of you and Peggy!! She’s awesome and so are you! I can’t imagine how you can look so DIY working on your house then look so good on the news. Thanks Sonny…that’s nice of you to say!